Coldplay graduated from “intriguing” to “important” with 2002’s A Rush of Blood to the Head, a musically and thematically bold statement as fully realized as any album to come along in the post-album era. As it turns out, they weren’t finished upping the ante—not by a long shot. 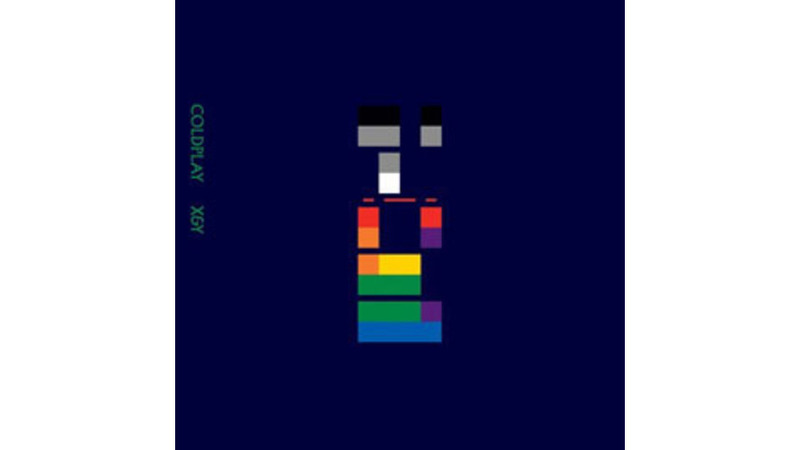 “Speed of Sound,” the first single from their big-stakes follow-up, X&Y, reveals the hand they’re playing: a piano riff as memorable as the one in “Clocks,” ringing guitars, martial drums, orchestral pomp and, in the center, Chris Martin’s keening vocal, so vulnerable and yet forceful enough to stand out from the mass of sonic detail. But “Speed of Sound” is just the tip of the iceberg. Exhibiting a level of ambition rarely encountered these days, Coldplay’s third opus takes on the reigning champ U2, and doesn’t so much dismantle Atomic Bomb as blast right through it, like a mile-wide meteor, hurtling across the heavens toward The Beatles themselves. Rush of Blood’s dynamic involved the interaction of Martin’s propulsive piano riffs and viscerally employed strings, right along with Will Champion’s drums and Jonny Buckland’s electric guitars. On X&Y, the band again features Martin’s piano and makes strategic use of strings, but the dense arrangements expand the scope to incorporate synthesizers, Mellotron and the album’s secret weapon, a Hammond B-3, melding these overlapping sound pads into the rich aural backdrop in front of which the foreground elements are set. The motif is established right from the top, as opener “Square One” enters with a wash of strings and/or string-like keyboards before the clouds part at the one-minute mark with the thrilling entrance of Champion’s pummeling drums and a bass line from Guy Berryman that nervily quotes U2’s “New Year’s Day.” The track incrementally expands to a mind-blowing climax before receding, as an acoustic-guitar coda appears out of the haze. Martin’s naked piano introduces the following “What If,” which enlarges at each sectional transition, with strings appearing at the start of verse two and the band erupting at the first chorus. These aren’t songs so much as the aural equivalent of suspension bridges, at once massive and graceful—constructions perfectly suited to Martin and Buckland’s metaphysical ponderings about the unanswerable questions of existence. At this point it’s apparent what’s in store, and we wait for the next moment of grandeur to arrive—anticipation of the Big Moment is a key ingredient of the dynamic—as Coldplay proceeds to fashion one monument after another. This is not easy listening; on the contrary, it requires a real commitment from the listener. But it’s a commitment that’ll be amply rewarded. Coldplay is a band with the audacity to aspire to greatness and the talent to achieve it.